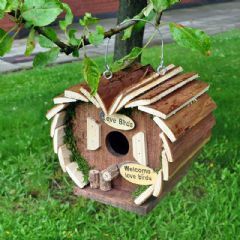 Provide a roosting area and shelter for your small feathered friends with this Wildlife World Oval Nest Pocket. 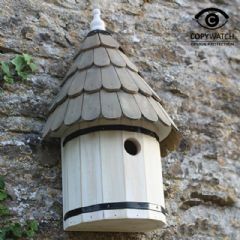 It offers all small birds essential protection on cold nights to preserve body fat and enable survival. 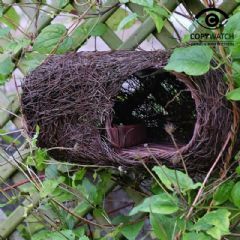 Made of various natural fibres such as reeds and grasses, it is light and easy to fix on fencing, walls and trees, and is perfect for concealing in a hedgerow or shrub - wherever the birds will feel safe. It comes complete with a hanging wire and instructions. 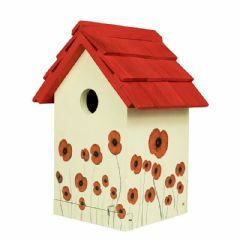 This is also a great shelter for small animals such as hamsters or mice. Please note: Colour and appearance may vary due to seasonal availablity. 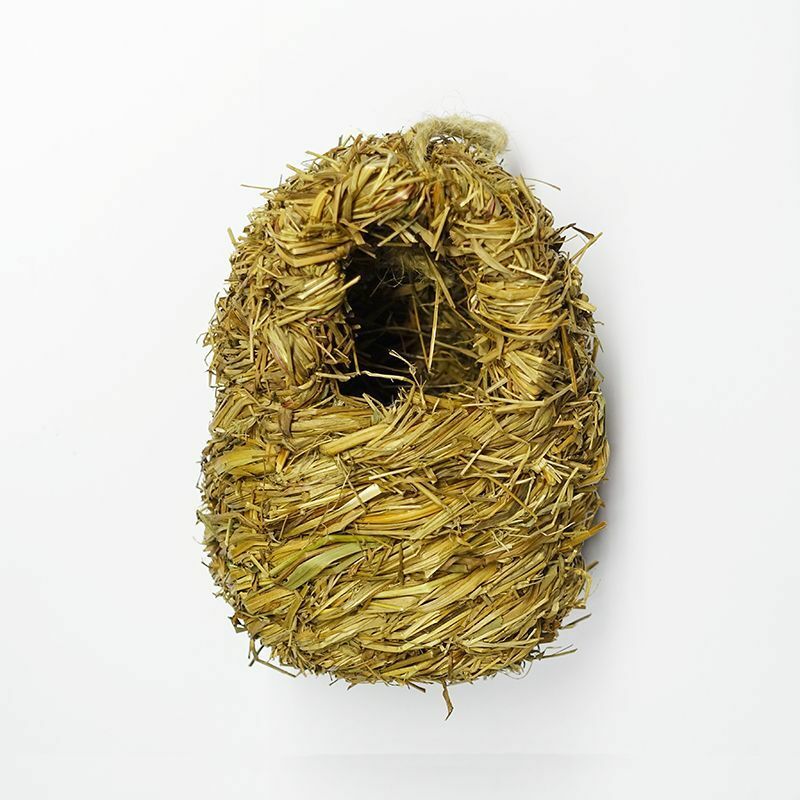 Only one Oval Bird Nest Pocket will be supplied and the style will be chosen at random. 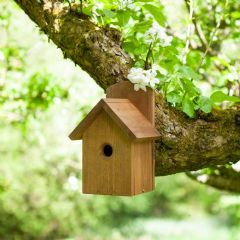 I have a large bush near our kitchen door so this little birds house has been great it's hooked on to the back fence I'm just waiting for our first visitor. Bought as part of Christmas presi for elderly neighbour. Like the natural look of this and looks easy to put up. Very pleased. Have still to put them up as the weather here in Scotland has not been good. Was hoping to do them this weekend but we are forcast for snow so will have to wait again. It looks very lifelike.I hope to have a family move in soon.I am very impressed on the construction of it. Lovely addition to my garden. Great value for money. A lovely addition to my garden. 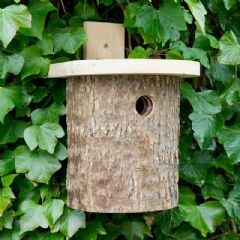 These are ideal for the back of the garden , very natural and easy to fix to branches or lattice work under climbers. 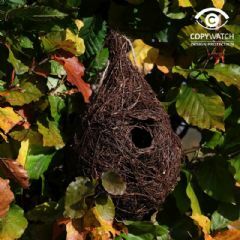 It has two holes, one larger and one smaller on opposite sides, I've left the smaller side open hoping that the wren takes a fancy. Lots of interest in it already!Very pleased, thank you! These look very natural, and blend in well with the foliage, but I honestly have my doubts about whether any birds will occupy them. They've only been up for a week, so I can't tell yet.